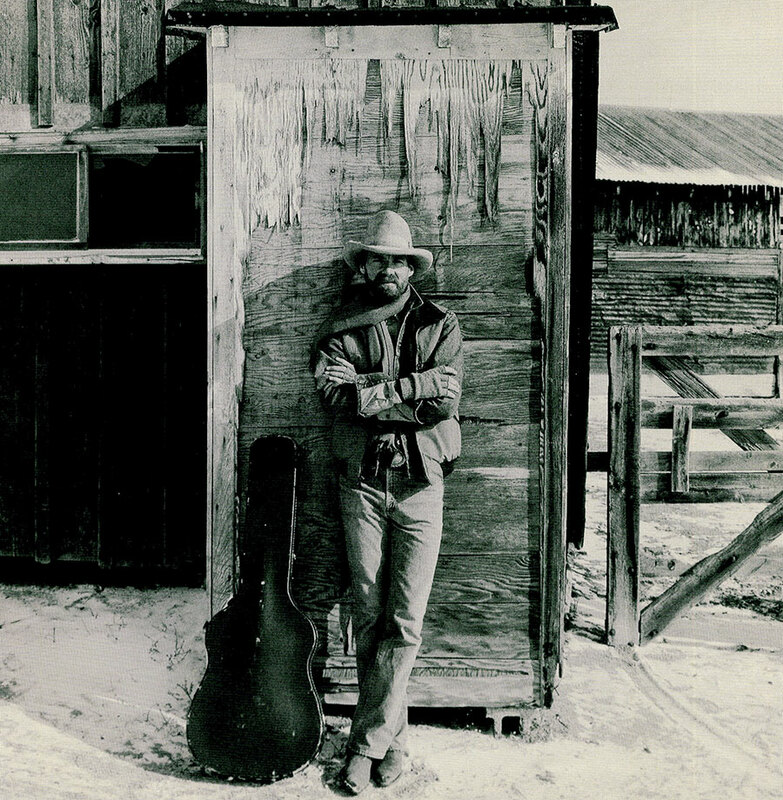 An Iowa native, Chuck Pyle made his way to Colorado’s Front Range in 1965, “when Boulder was mostly gravel streets.” His path as an accomplished songwriter was set in 1975 when Jerry Jeff Walker scored a modest hit with a rendition of “Jaded Lover.” Through the 1980s and 1990s, John Denver, the Nitty Gritty Dirt Band and a number of popular artists recorded Pyle’s songs. Suzy Bogguss covered “The Other Side of the Hill” in 1980; Chris LeDoux renamed the song “Cadillac Cowboy” and took it to the top of the country charts in 1991. Pyle emerged as a celebrated artist in his own right. The title track to his 1985 album Drifter’s Wind, about a hitchhiker he once picked up, peaked at #60 on Billboard’s Hot Country singles chart. A reviewer labeled Pyle the “Zen cowboy,” and he took the nickname to heart—“Ride the horse in the direction it’s going,” he said—shaving his head and mixing Eastern truisms with Old West horse sense. In concert, Pyle became known for a delightful amalgam of western themes, folk and rock music, a touch of “cowboy logic” poetry and an enlightened sense of humor about his self-help outlook. He also developed a unique finger picking style he called “Rocky Mountain slam picking,” which married rhythm guitar strumming and lead guitar lines. Pyle continued to live in Colorado and play across the country. “Colorado” became the theme song for a PBS series called Spirit of Colorado; he was invited to sing it for the opening session of the 2005 Colorado State Legislature. Pyle died near his home in Palmer Lake in November 2015.